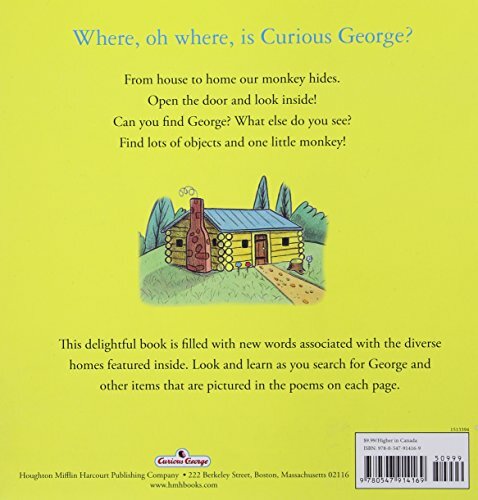 Join Curious George as he snoops around a wide variety of houses and homes. Twelve full-to-bursting spreads represent home interiors from lighthouses to castles. 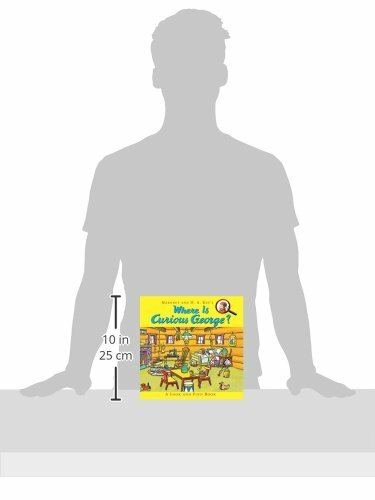 Jaunty rhymes introduce each inviting scene and list the objects readers can find: “Find the candle, find the sword, / Knight’s strong shield, orange gourd. / Ruby in the golden crown. / Look for monkey, up and down. 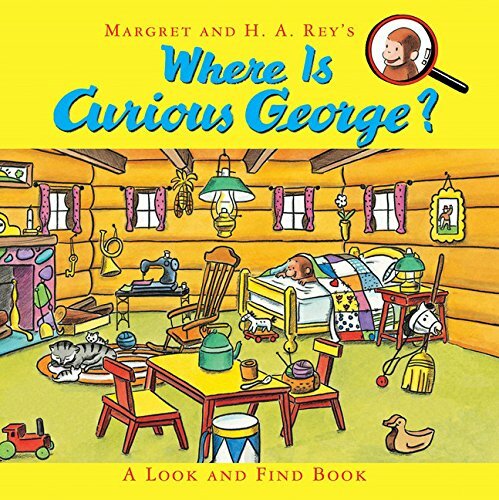 / Where is George?” The colorful 10” x 10” cardstock pages will hold up to years of enthusiastic exploration! For more monkey fun, investigate www.curiousgeorge.com and discover all the latest on Curious George, books, promotions, games, activities, and more. Everything Monkeys is a participant in the Amazon Services LLC Associates Program, an affiliate advertising program designed to provide a means for sites to earn advertising fees by advertising and linking to Amazon.com, Endless.com, MYHABIT.com, SmallParts.com, or AmazonWireless.com. Amazon, the Amazon logo, AmazonSupply, and the AmazonSupply logo are trademarks of Amazon.com, Inc. or its affiliates.